The proliferation of mobile devices, combined with the increasing trend toward digital transformation, mean that users can access video and other bandwidth-hogging files from pretty much anywhere. So putting that data as close as possible to the user is at the center of most data center strategies—and the next step is to interconnect those geographically dispersed data centers so they can act as one. The data center interconnect market is growing fast—and the Caribbean and Latin America (CALA) region is outpacing the rest of the world. So, for enterprises and providers alike, finding the right partner can be a daunting task. But it’s really important to get it right. 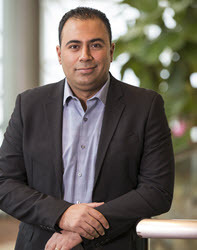 Jay Jadeja is a CALA Partner Sales (Managed Services) Director with 17 years of experience working with multinational leaders in fast-moving telecommunication and network optical infrastructure sectors. He has initiated, developed and implemented innovative growth strategies leveraging market insights via international experience gained in Latin America, the Caribbean and Europe. The data center interconnect market in CALA is set for strong growth, with much of it concentrated in Brazil and Mexico. Even smaller areas will see data center expansion, along with a corresponding need for security services, redundancy and availability. Across the region, the bulk of interconnect projects in the next few years will support the drive to connect to cloud and IT service providers. Recent research by Equinix shows that CALA interconnection bandwidth will grow at a compound annual growth rate (CAGR) of 62% through 2020. According to the forecast, Latin America will consume 620 Tbps of data by 2020. While the market’s data consumption will remain below other regions such as the US and EU, it’s growth rate will easily outpace the rest of the globe. As the bandwidth explosion indicates, spending on DC equipment, which topped US$30 billion in the second quarter of 2017, will grow in lockstep. Industries such as energy and utilities (97% CAGR through 2020) and healthcare & life sciences (89% CAGR through 2020) will lead the astounding growth of DCI in CALA, but DCI will grow more than 30% annually in just about every segment through 2020. To get an understanding of the scale we’re talking about, it’s interesting to note that Equinix forecasts that global capacity for private data exchange between businesses will double the growth of the public internet and will be six times the volume by 2020. This dynamic is reflected in the expansion in CALA. There are a few keys to getting DCI right. Without them, connecting just wouldn’t be feasible or sensible. First of all, you need high-speed connectivity that links users to content faster. Geography shouldn’t be a factor—whether a user is across the street, in the same metro region, or on another the continent, the content should be there in an instant. The interconnection between data centers should be transparent and (taking the laws of physics into account) should not interfere with the user experience. Of course, speed is only one ingredient. Being able to scale an infrastructure to fit the demands of a business is also important. Many projects start out modestly and then grow gradually. That is easier to manage and predict. On the other hand, some projects suddenly skyrocket to billions of users seemingly overnight. A DCI solution should be able to scale easily as a business hits peaks and valleys. DCI accomplishes a complex technical feat. But that doesn’t mean it should be complex to manage. On the contrary, a DCI solution should feature easy management and automation tools that simplify your life and reduce management overhead. Once you’ve decided DCI is your next step, the fun is just beginning. You’ll need to find a partner that can help you put the pieces in place. So, what should you look for in a partner? 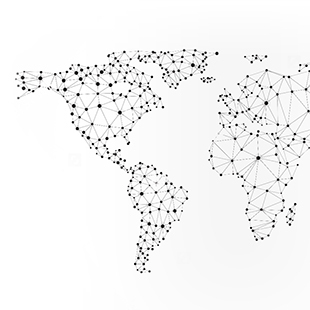 Proven industry experience: Ciena has a large partner base around the globe, and we understand the dynamics of various industries especially with DCI. With significant growth for DCI applications forecast in every industry segment, you need a deep partner expertise. 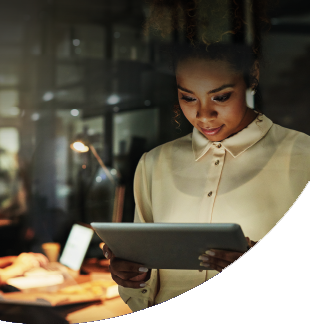 Ciena works with you utilizing some of our industry-leading consultancy expertise—ranging from market analysis to business cases—which will help you obtain the required investment and also identify the right market sector. In-region expertise: You need a boots-on-the-ground understanding of the region, not just experts back at the global HQ. Ciena’s CALA region ecosystem is deep and wide, with Managed Services consultants and technical consultants to tailor the right service for you. 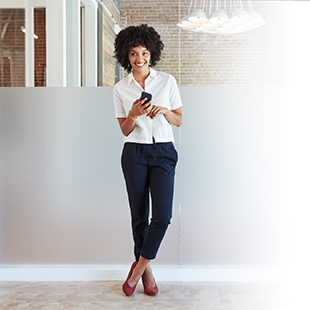 BizConnect Program: Utilizing Ciena´s award-winning partner program, you’ll have access to new on-demand DCI training and can also request in-person training to get your sales team and other departments up to speed. Proven, efficient solutions: A DCI solution must be able to handle the bandwidth demands of metro, regional and long-haul interconnects while simultaneously providing power and space efficiency. Ciena’s Waveserver, which includes WaveLogic 3 Extreme coherent processors, enables unparalleled capacity and density—all in a compact package. Waveserver also provides highly secure in-flight encryption and programmable coherent optics that can customize it to fit any DCI application. Ciena’s CALA partner program can help you design and go to market with a revenue-driving DCI service. Utilizing our Waveserver for web-scale DCI applications, Ciena’s world-class service specialists can also help plan, design, deploy, manage and maintain your DCI solution. You’ll get exactly what you need, and the solution will keep pace as your business grows. Want to learn more? Read our paper on Overcoming the Top 5 Data Center Interconnect Challenges, or contact us today.